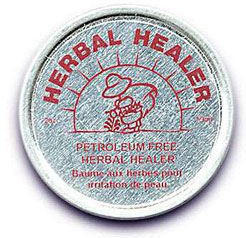 Apply liberally to all skin irritations including eczema, psoriasis, callouses and inect bites. Non-toxic.enviromentally friendly. no preservatives. no perfume. No dyes. Buy 1 for $5.49Buy 2 / Save $0.29!Buy 3 / Save $1.10! Size (inches): 2.36" X 0.79" X 2.36"
Apply liberally to all skin irritations. Virgin Olive Oil, Beeswax, Chickweed, Plantain, Comfrey.